Spicy, exotic and alluring – this one is sure to ignite the fires within. A passionate blend sure to ignite anyone who smells it. Euphoric, warm and inviting. Enhances feelings of self confidence and esteem, particularly in one’s love life and career. Great for massage, it is relaxing and pain relieving. Perfect for stoking the inner fire and encouraging arousal. Aphrodisiac. 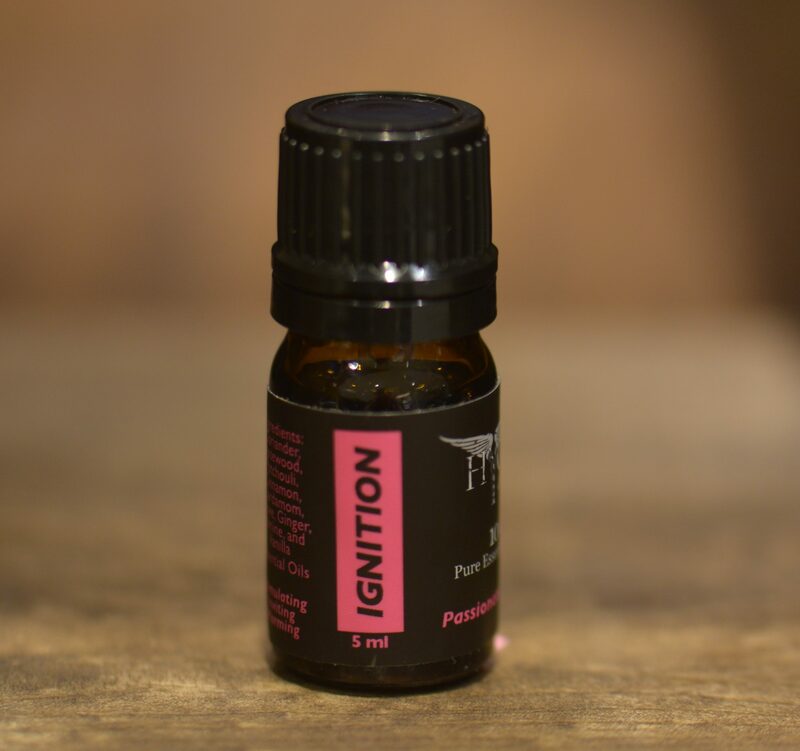 A complex blend that includes spices like cardamom, coriander, clove and ginger, rosewood and ylang ylang and earth tones like patchouli, rounded out with sweet vanilla. Powerful and alluring, it makes a great perfume, just a dab is needed. Encourages creativity and expands the body and mind when diffused. Opens and balances the second chakra.